North India Christian Mission serves in the Northwest of India. 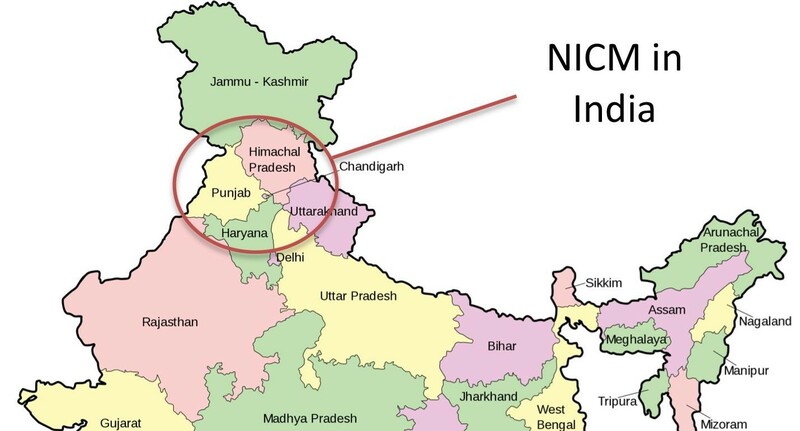 The NICM Compound is located near Chandigarh which is the capital of the two states, Haryana and Punjab. Historically, most of the growth of the Indian church has been concentrated in the southern and north-eastern parts of the country and it is true to this day. The Northwest part of the country is often neglected or often considered resistant to the Gospel thus bypassed by many missions and missionaries. It is often called “the North India-Hindi Belt.” The area stretches across north and central India and covers nine states: Uttarakhand, Bihar, Rajasthan, Madhya Pradesh, Uttar Pradesh, Delhi, Jammu Kashmir, Punjab, Himachal Pradesh and Haryana. This area of India is known as the heartland of Hinduism, a religion that boasts some 33 million gods. The GoldenTemple, located in Amritsar, is the central worship place for all Sikhs in the world. It is the birthplace of both Buddhism and Jainism. Some of the most revered Hindu and Buddhist shrines and places of pilgrimage are in this region. Muslims also have a strong presence, with some of their most important learning and worship centered in the area. According to the 2011 census the Christian population of India is only 2.3 percent of the total population or aproximately 24 million people. The largest populations of Christians are found in the south and northeast of India. 34 Jesus *said to them, “My food is to do the will of Him who sent Me and to accomplish His work.35 Do you not say, ‘There are yet four months, and then comes the harvest’? Behold, I say to you, lift up your eyes and look on the fields, that they are white for harvest.36 Already he who reaps is receiving wages and is gathering fruit for life eternal; so that he who sows and he who reaps may rejoice together.